This serum is recommended for someone with open, noticeable pores. It helps rebalance and tighten pores, and refine and irregularities in the skin texture. 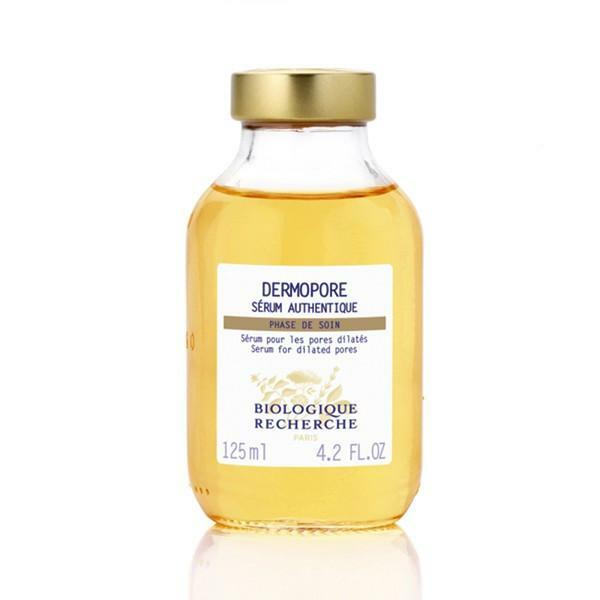 Apply 1 ml of Sérum Dermopore on clean skin to the whole face, neck and décolleté by lightly massaging upwards until completely absorbed. A rebalancing serum that helps tighten dilated pores, prevent comedone formation, and refine irregularities of the skin grain. Recommended for seborrheic or thick skin with dilated pores. On clean skin, apply the serum to the whole face, neck and décolleté by lightly massaging upwards until complete absorption of the product. Apply well on the median zone which is generally denser in sebaceous glands.